Band on the Wall presents a special edition of Free Vibes, curated with Amazing Radio’s new music champion Shell Zenner. We’ve teamed up with Shell to bring you four of the most exciting artists you need to know. Sign up for free entry and discover new music from the likes of Patawawa, Lunar Sounds, Tin Mole & Chloe Hawes. DJ Shell Zenner will keep the vibes flowing ‘til late! DIY disco trio Patawawa have had an extremely busy 2018 so far. Releasing their debut EP at the start of the year, the band immediately broke through with the million streaming lead single ‘Patagonia’. 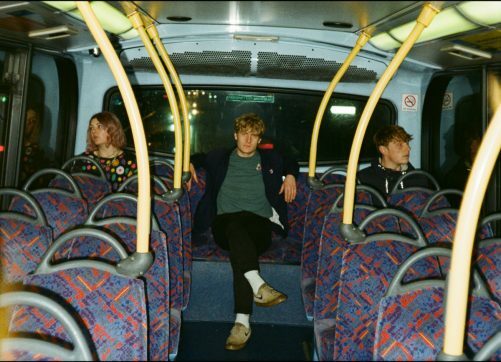 Hotly tipped by the likes of NME, Line of Best Fit, DIY & Clash and many more, the band have topped the Hype Machine charts several times during the last few months. Lunar Sounds are a DIY alt rock trio who count The Big Moon, Fleetwood Mac and Wolf Alice amongst their biggest influences. Tin Mole is a Manchester-based artist blending indie rock, trip hop and spoken word. Chloe Hawes is a singer-songwriter from Essex, playing a blend of Rock, and Americana music.